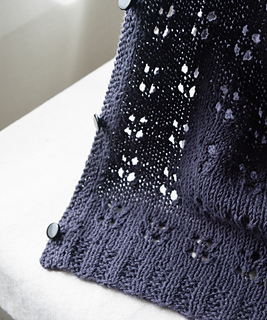 Grenache is a breezy little cardigan, virtually seamless, with a hint of texture. You’ll love its simple style and smooth lines. 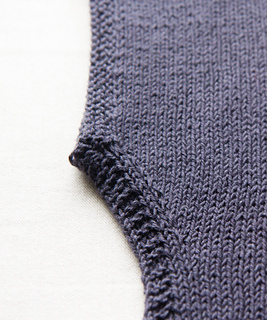 Short dolman sleeves, gently shaped neck, side vents, and slightly dropped back edge make a comfortable and flattering sweater. 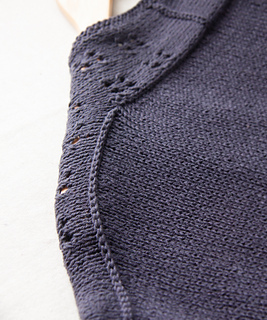 Worked in DK weight with minimal finishing, this cardigan knits up quickly. 6 (6, 7, 7, 7, 8, 8, 8, 8, 9, 10) balls DK yarn, 153 yards/50 grams each. 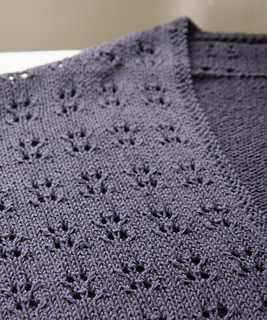 Shown in Elsebeth Lavold Hempathy, 41% Cotton, 34% Hemp, 25% Rayon, color Charcoal. 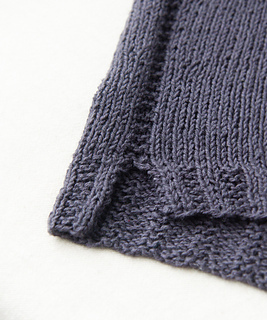 Suitable for yarns with some drape.